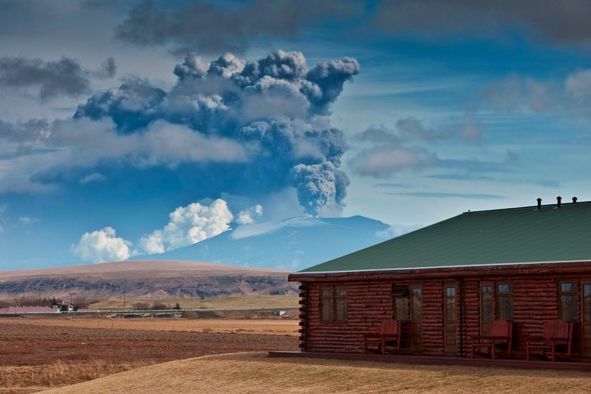 This curated itinerary perfectly contrasts considered relaxation with Iceland’s wild landscapes. 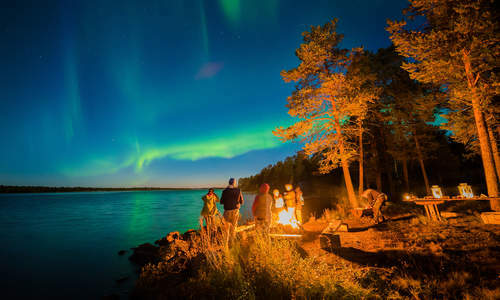 After watching out for the Northern Lights from your timber lodge’s hot tub and enjoying private access to the Blue Lagoon with a design-hotel stay, you’ll head out to explore on a series of included excursions. 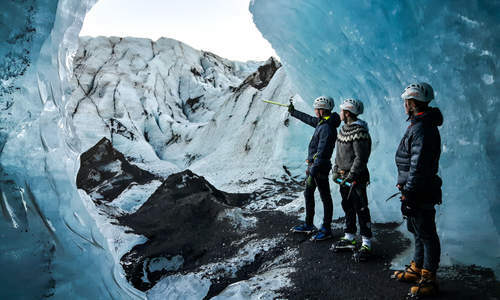 There’s an Icelandic horse ride, a Superjeep glacier tour and the chance to drive the iconic Golden Circle – a collection of Iceland’s most spectacular natural icons. 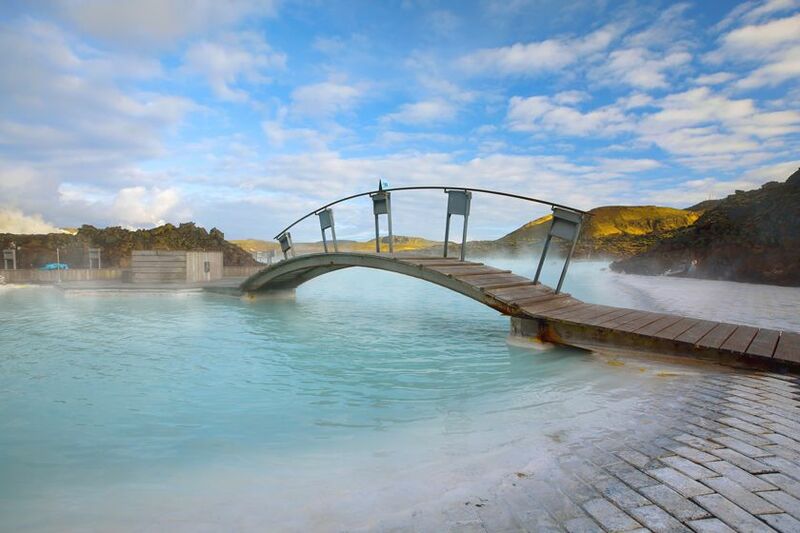 Think giant geysers and thundering waterfalls before you end back in Reykjavik. 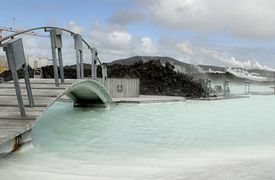 Flying into Keflavik Airport, you’ll pick up your hire car and make the short drive across the peninsula to the famed Blue Lagoon. Here, you’ll be treated to the mud masks, algae treatments and complimentary drinks that premium access confers, enjoying indulgent soaks in the mist-shrouded waters. You’ll even stay in a design hotel that features its very own private access. 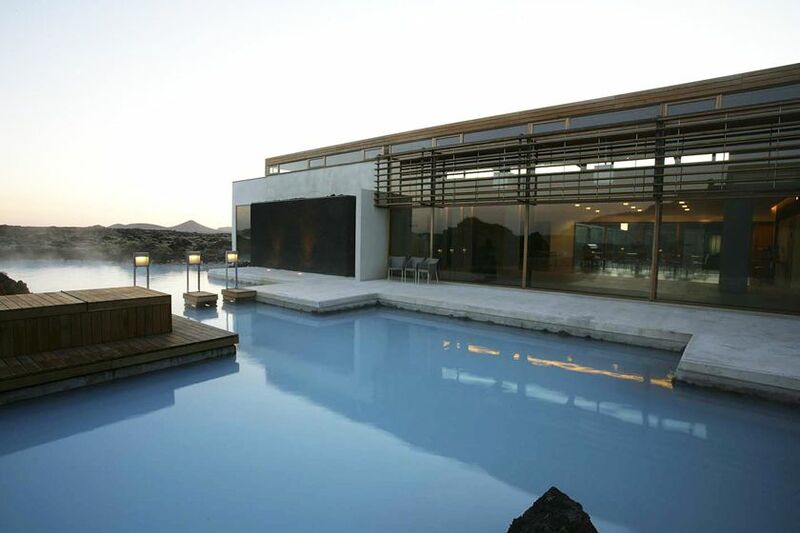 It’s delightfully exclusive, featuring a superb spa and just 35 rooms, each with private-verandah views across the surrounding volcanic scenery. There’s even an excellent restaurant built into a lava cliff, where you’ll be treated to a complimentary glass of sparkling wine. This morning, you’ll start the day with an included 30-minute massage. Then, after checking out, you’ll make the scenic drive along the coast to Hotel Ranga. 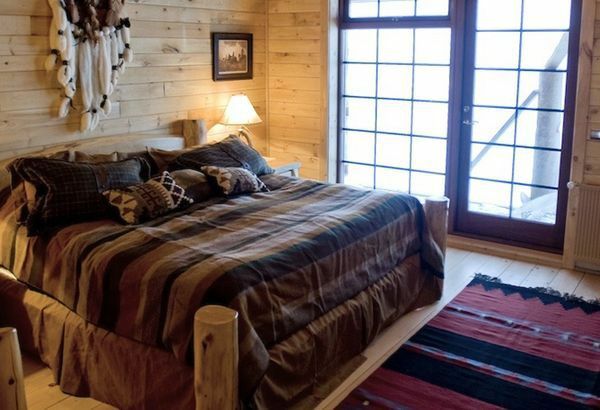 This delightful timber lodge is south Iceland’s only luxury property and enjoys a fantastic sense of seclusion. 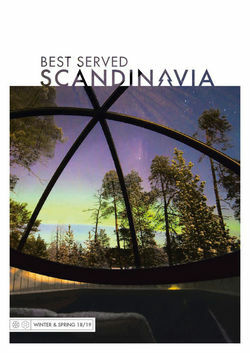 Far from any light pollution, it’s ideally poised for stargazing and Northern Lights viewing – head to the outdoor hot tubs for the best experience. 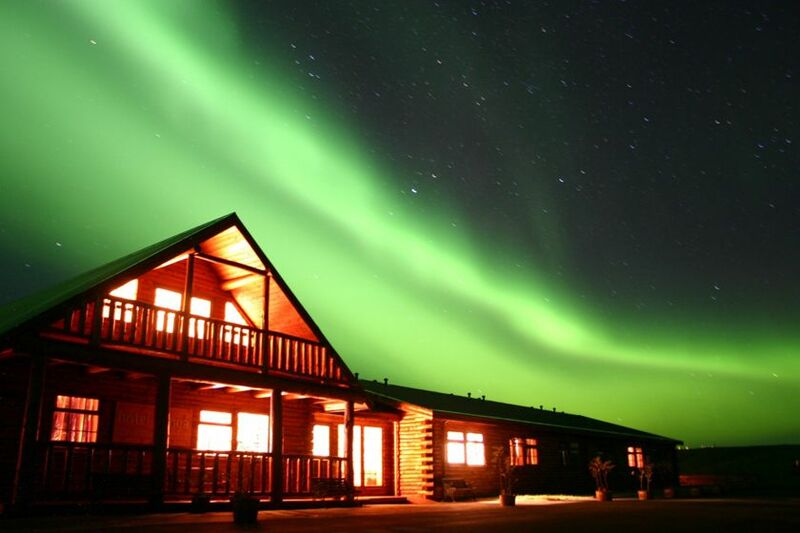 The hotel also overlooks the picturesque Ytri-Rangá River – ideal for salmon fishing. Today is given over to exploring southern Iceland on a full-day Superjeep tour. Driven by an expert guide, these mighty machines make easy work of the country’s dramatic landscapes, bringing you along dirt roads and fjording glacier rivers to explore Thórsmörk. Translating as ‘Thor’s Woodland’, this plunging valley is fringed by no fewer than three glaciers – the site for impossibly scenic stops and hikes. 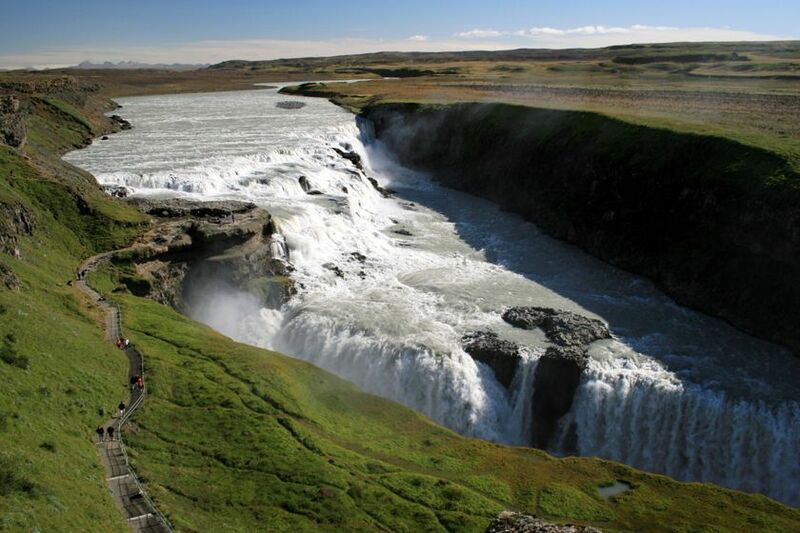 You’ll also take in the mighty Seljalandsfoss – a 60-metre-high waterfall – before returning, at day’s end, to Hotel Ranga. 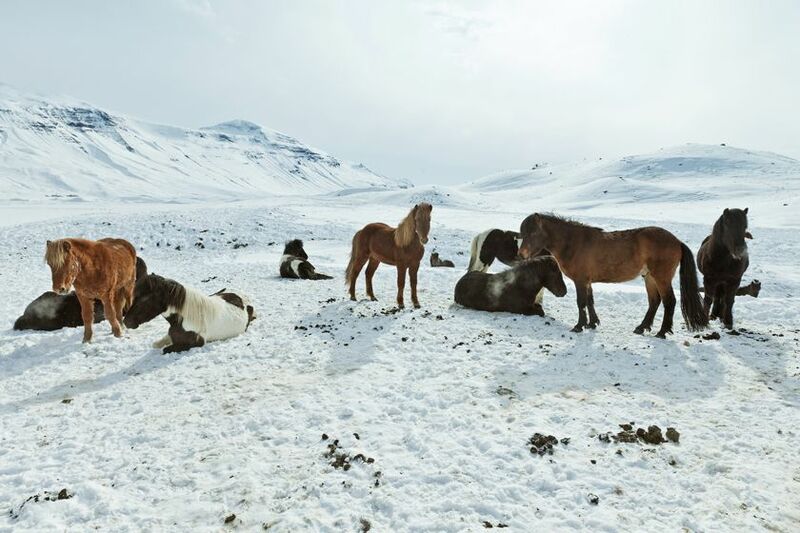 You’ll begin today with the short drive to a nearby farm where you’ll meet the Icelandic horses – a unique breed that’s both hardy and adorably little. 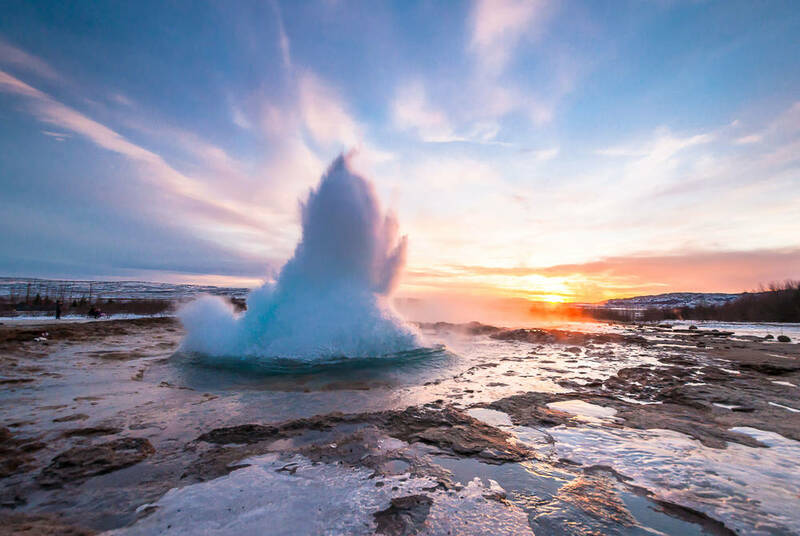 Then, after a gentle ride through the rolling grasslands, you’ll set out to drive the Golden Circle, taking in everything from the cascading Gullfoss waterfall to the explosive outbursts of the Strokkur geyser. There’s also the fascinating heritage of Thingvellir. Among this national-park rift valley, you’ll discover thousand-year-old stone ruins that evidence the world’s first parliament. You’ll then end the day in Reykjavik. Staying in a Scandi-chic hotel housed in an 18th-century building, you’ll have all of the capital’s delights on your doorstep. After breakfast, you’ll have time to explore Reykjavik. 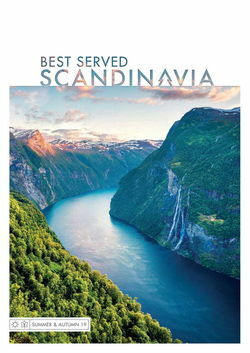 Although its colourful houses and cathedral spire evidence a rich heritage, there’s plenty of cutting edge to discover, best showcased in its art galleries, thriving restaurant scene and modernist architecture. After taking it all in, you’ll then return your hire car to board your flight home.